Students in an AP calculus class at Pittsburgh Taylor Allderdice High School will each have a graphing calculator to work with, thanks to funding from Google. As school budgets continue to shrink or remain flat, many teachers are left short of needed equipment, or have classroom wish lists that don’t fall into budgeting priorities. Through Donors Choose, teachers submit requests and then anyone can donate to whichever project they chose – hence the name. On Thursday, Google announced it was fully funding the requests of 79 Pittsburgh-area teachers. One of those teachers is Roseann Casciato. She teaches advanced placement (AP) Calculus at Pittsburgh Tayler Allderdice High School and had requested graphing calculators for her students. She said her request had about 10 donors, but she still needed at least $2,000 for the calculators. Pittsburgh Mayor Bill Peduto joined several Google workers to surprise Casciato and her students with the news, and to hand-deliver the calculators. About 45 percent of students at Allderdice are from low-income families, according to Principal Melissa Frize. “With the economy and how things work out, you don’t always get all the supplies you need, so this was a really great opportunity for our students to have the resources that they need to learn,” she said. Casciato said the AP calculus class is a stepping stone for the students, and learning to use a graphing calculator is a critical part of that. 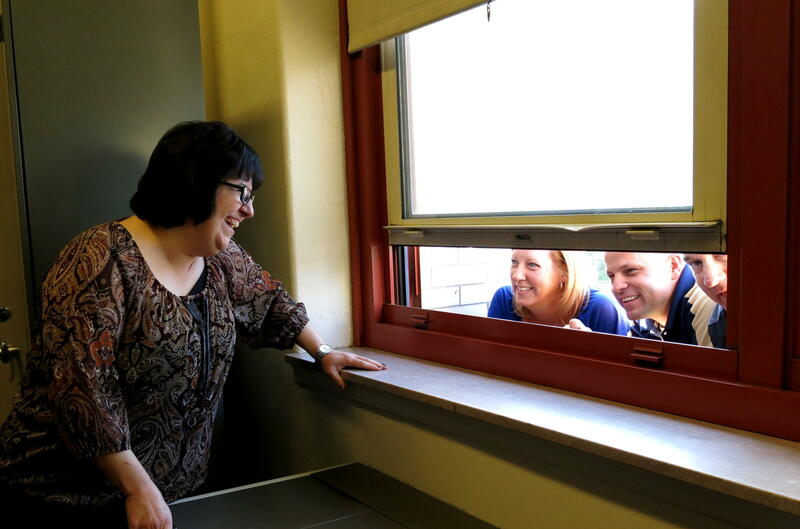 AP calculus teacher Roseann Casciato talks to colleagues who had to watch from outside because the room because so crowded. 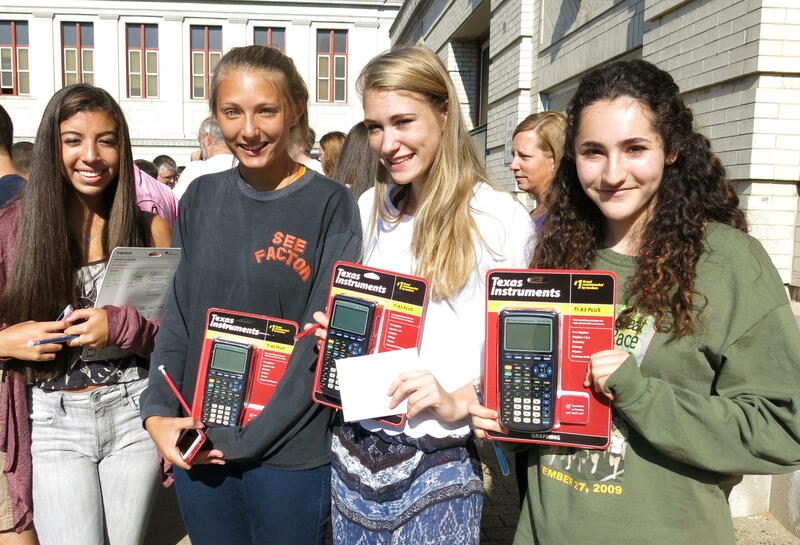 Of the graphing calculators she said, "I can't get over this, I'm so thrilled for these kids!" Google employees not only delivered the calculators, but also some other school supplies, and personal notes to the AP calculus students. The donations from Google totaled $64,657. Other teachers around the region received materials such as paper and pencils, books, laptops, musical instruments, microscopes – and even a trampoline. “Google believes that with open access to information and the right resources, teachers and students can transform the way that learning happens and get you guys the awesome education you need to be our leaders and our community members and our Googlers down the road,” said Kamal Nigam, engineering director and co-site leader of the Google Pittsburgh office. In the past few months, Google has done similar “flash funding” campaigns such as this in the San Francisco Bay Area, Atlanta and Chicago.